Alternative small business lending platform OnDeck finalised its purchase of Canada-based small business lender Evolocity Financial Group, reports Julie Muhn at Finovate. 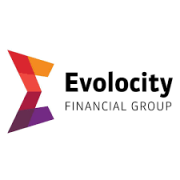 Evolocity brings expertise in Canadian underwriting practices, as well as local business relationships and knowledge to the table. Combined with OnDeck’s marketing and international online lending experience, the two businesses will offer small businesses across Canada access to working capital finance solutions. The combined companies will operate under the name and branding of OnDeck Canada, with Evolocity CEO Neil Wechsler serving as CEO of OnDeck Canada. Evolocity co-founders David Souaid and Harley Greenspoon will serve as chief revenue officer and chief operating officer, respectively. OnDeck was founded in 2007 and has loaned more than $10 billion to small businesses in 700 different industries across the United States, Canada, and Australia since launch. The company leverages its OnDeck Score to underwrite loans and deliver funds to small businesses in as little as 24 hours. he publicly traded company is listed on the New York Stock Exchange under the ticker ONDK and has a market capitalization of $418 million.